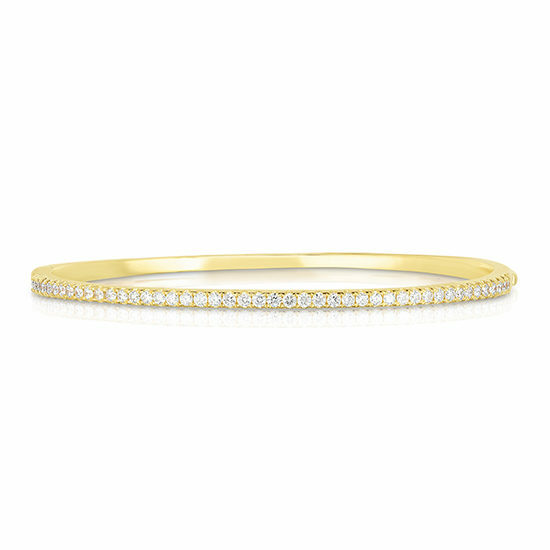 Timeless and beautiful, this 18k yellow gold diamond bangle is a must have staple in every woman’s collection. Beautiful worn on its own, and also great for stacking with other bangles and bracelets. This lovely diamond bangle features 45 Round Brilliant cut diamonds, totaling 0.85 carats.